Pioneers in the industry, we offer henny penny gas pressure fryer and henny penny electric pressure fryer from India. 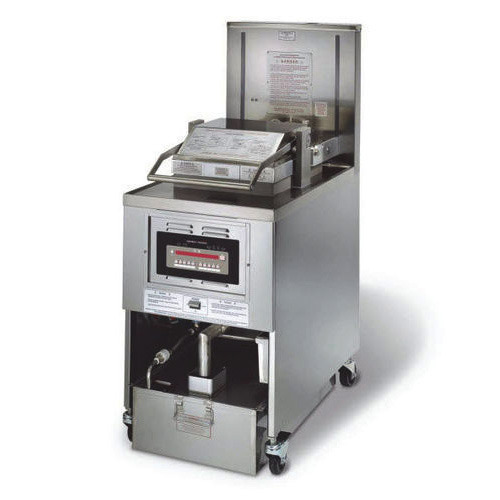 We are one of the esteemed names in the market that is engaged in offering a wide collection of Henny Penny Gas Pressure Fryer. It is used for cooking recipes in fast manner. These products are manufactured from the supreme quality material under the supervision of highly skilled team members. These products are tested against various quality parameters to ensure their unmatched quality. 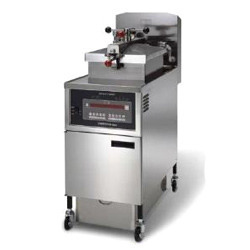 We are dedicatedly engaged in providing a large assortment of Henny Penny Electric Pressure Fryer. Offered collections of these products are manufactured using superior quality raw material and top notch technical machinery with the help of talented team members. In addition to this, the offered products are well tested on predefined parameters of quality to ensure defect free products at clients' end. These products can be avail at very reasonable prices.